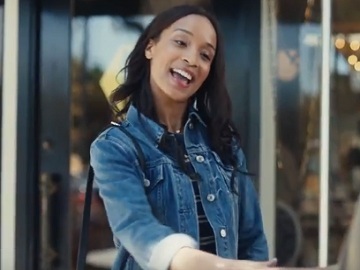 Citi continues its “Wouldn’t it be great if everyone said what they meant?” campaign with a series of new spots, promoting its Double Cash card. One of the spots, titled “Name Game”, features two acquaintances saying what they actually think during a casual meeting. “Oh, hey, Michelle!” – greets one of them the other, who’s in the company of a friend. “Oh, hey, person whose name I can never remember.” – answers the other. The first lady suggests an “extra long hug” to help her try figure it out, but, after the hug, the other one reveals that it’s “still drawing a blank” and comes up with the idea to introduce her to her friend in hopes that she’ll say it. The two say “Hi” to each other, but the person whose name cannot be remember doesn’t introduce herself. “That didn’t work.” – conclude the two friends willing to know the woman’s name. “Wouldn’t it be great if everyone said what they meant?” – asks the voiceover at the end of the spot, mentioning that Citi Double Cash card does by letting you earn 1% cash back when you buy and 1% as you pay, and adding the brand’s tagline, “Double Means Double”.